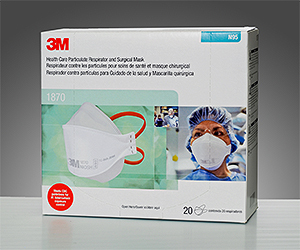 NIOSH approved as a Type N95 respirator. It meets CDC guidelines for TB exposure control and is designed specifically for use in a health care setting. It has a soft inner shell for greater comfort against the face, and because it's fluid resistant it aids in reducing the potential exposure of the wearer to blood and other body fluids. Packed 20 per box.